QUALIFIED TECHNICIANS FOR A SERVICE OF HIGH QUALITY AND IN FULL SAFETY. Your boiler is broken, defective or non-compliant? Do you find it too expensive to fix it? AirClima puts at your disposal a team of experienced technical professionals, always ready to answer all your questions, guaranteeing a high quality service and the total security of the installed systems. The installation of gas boilers is a sensitive and important operation for your home. It is therefore appropriate that the same be done with care and attention by qualified personnel, so as to ensure its safety and effectiveness in operation. AirClima, established reality in the plumbing and heating industry and specialized in the supply and installation of boilers for heating + hot water use or boilers for hot water only, performs installation of gas boilers in Milan and throughout the province of Milan, including in the service both traditional and condensing boilers, in addition to hybrid systems with condensing boiler and heat pump. Our service is able to satisfy both those who are looking for a high-performance gas boiler, whether you want to save while desiring a still reliable and guaranteed product. It is mandatory to control and maintain your boiler thanks to qualified technicians. See in this regard, the Regulation in Legislative Decree no. 192/05 (Decree energy) as amended by D.Lgs.311 / 06. In case of a fault, failure or malfunction, immediately turn off your boiler and call a qualified technician for an inspection. 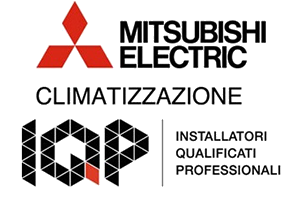 Book an appointment at home to Milan to talk to our experts and design your gas boiler.